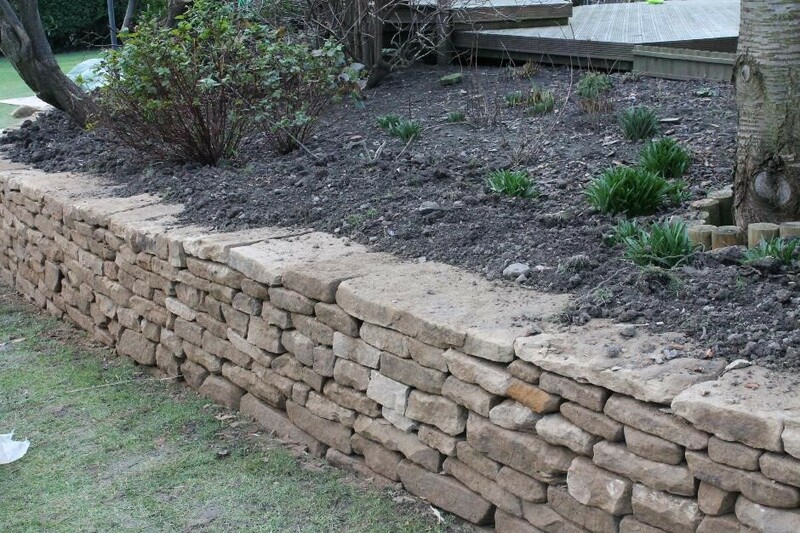 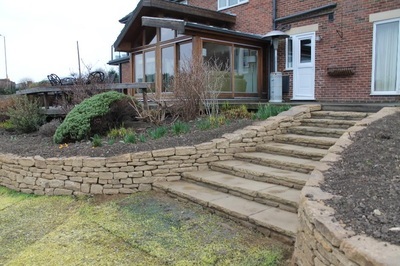 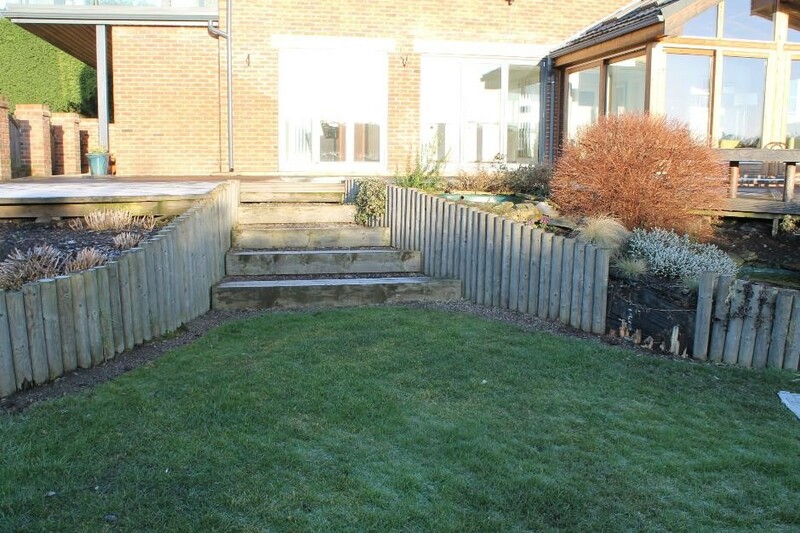 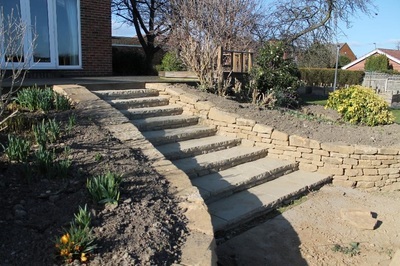 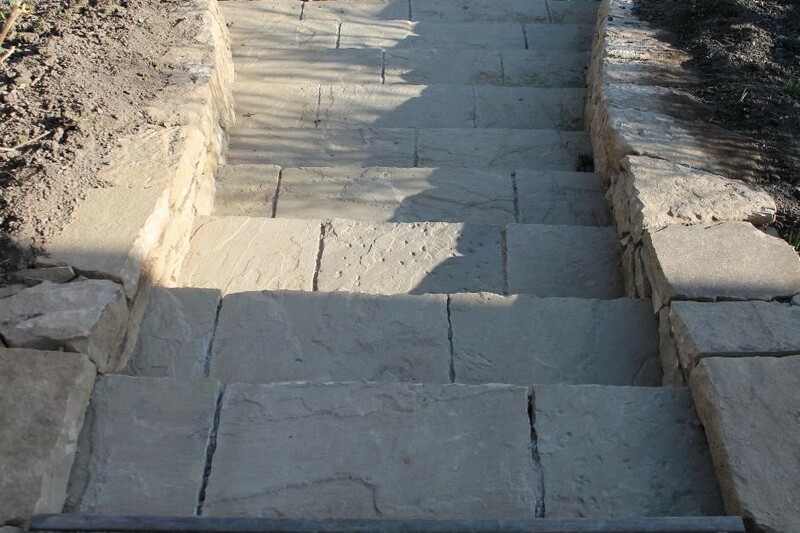 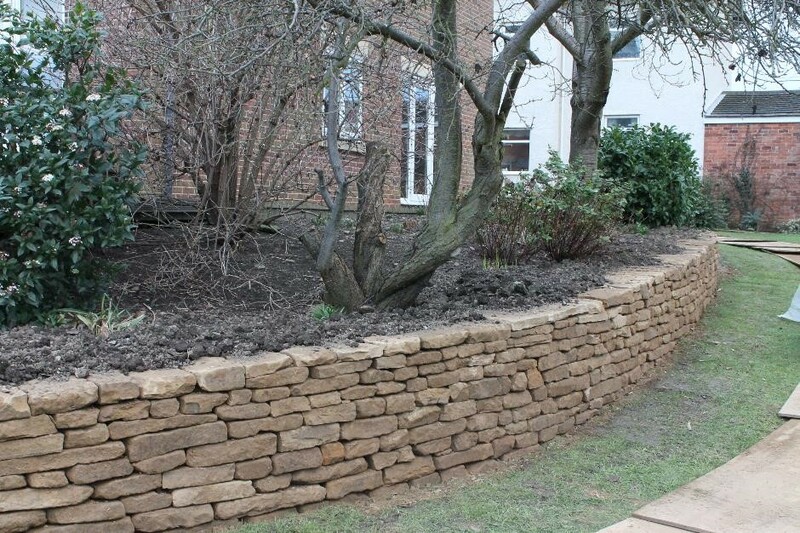 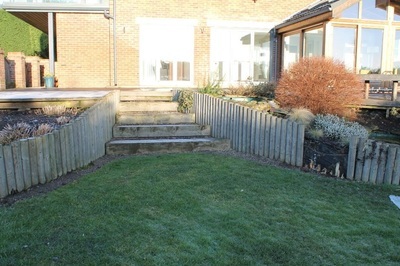 In this garden stone was brought in from a Derbyshire quarry along with Riven stone flaggs to replace a rotten wooden pole fence and to replace railway sleeper and gravel staircases. The layout of the garden was kept roughly the same, but the look was completely changed with the addition of natural stone. There were enough large slabs of stone to form a thick flat coping for the top of the wall.